When getting ready to take a boat out on the water, checking emergency gear and protocol often ends up being on the bottom of the to-do list, if remembered at all. It’s a common mistake made by many, because no one ever plans on having an emergency. However, it is crucial to make sure your boat and all passengers have the best devices to increase awareness and visibility of a stranded vessel. The U.S. Coast Guard, has a list of items that each vessel is required to carry in order to enter open waters. Marine distress signal devices, flotation devices and sound signaling devices are just a few of the required emergency items that are required. When looking for a distress device, visibility and duration of the signal is key to being found on water – especially at night. Sirius Signal, a San Diego-based start-up, knows that a couple of minutes can make a huge difference when in an emergency situation. With the recent release of the SOS Distress Light, they hope to provide boaters and marine enthusiasts with the longest-lasting marine distress devices on the market. Their device boasts a battery life that keeps its LED light at the peak required intensity for compliance, and total illumination of up to 60 hours. The distance visible is greater than 10 nautical miles. “Our product not only meets requirements, but exceeds them. We’ve spent a long time testing,” said Anthony Covelli, CEO of Sirius Signal. 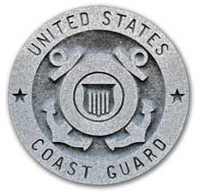 The U.S. Coast Guard requires boaters to carry a minimum of 3 day/night marine flares or one non-pyrotechnic electronic distress device and an orange emergency flag. The pyrotechnic flare burn time ranges from a required minimum of just a few seconds to maximum of 3 minutes. According to the 46 CFR 161.013 night visual distress signal requirements, each electronic distress device must: have a battery life of at least 6 hours, automatically flash the SOS signal and state that it meets U.S. Coast Guard compliancy. As the Sirius Signal device begins to attract more attention in the marine industry, users are confirming that the SOS Distress Light is not only a great alternative to marine flares, but a superior one. “[I’m] Very happy with everything I see so far with the new Sirius Signal SOS Distress Light – just ran it continually for 60 hours as part of my new product testing. That beats a minute of two from a typical flare,” said one reviewer from Just Marine, a distributor dedicated to innovative marine products. Written by Averi Melcher, Digital Content Manager for Sirius Signal.